This Seagate model has plenty of space for your movies, music, files, and photos. Two weeks ago, we spied a pretty decent deal for a $60 2TB WD external hard drive. If you don't need to travel with a storage drive, however, today's deal is even better. Best Buy is offering a Seagate 4TB desktop external hard drive for $70—that's about $30 cheaper than you'll find elsewhere. It's not clear how long this deal will last, so if you're interested, buy one sooner rather than later. 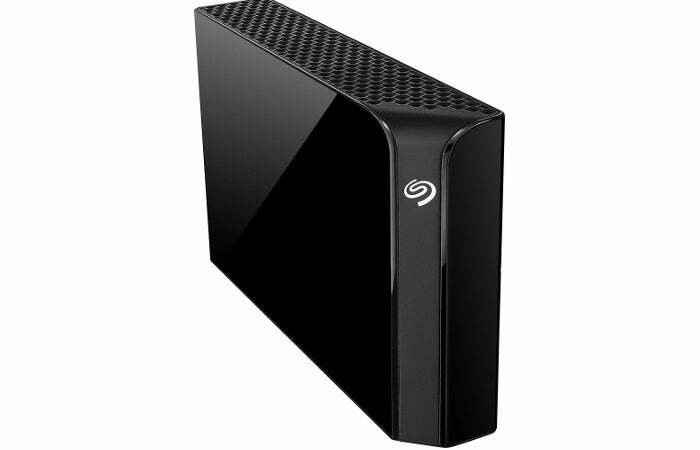 The Seagate Backup Plus 4TB External USB 3.0 Hard Drive is a desktop external storage drive, which means it requires a permanent location and an AC adapter for power. It's also fairly sizable, weighing nearly two pounds and measuring 4.6 x 1.4 x 7.8 inches. As its name indicates, this external drive supports USB 3.0. It also has a USB 3.0 interface, requiring use of that special double-pronged cable often seen on external hard drives. Included with the drive is Seagate's Dashboard software to make backups and access to your files easier. The program allows you to save content from your online accounts and mobile devices, too. According to the listing, the drive is compatible with both Windows PCs (Windows 7 and later) and Macs running OSX 10.9 or later, so presumably it's plug and play right out of the box. Even if it's not, the price makes the minor inconvenience of formatting the drive far less annoying.